With up to four times the detail of HD, TV in 4K has to be seen to be believed. So whether you’re streaming a box set or watching exclusive action on BT Sport, the drama will be more vivid than ever. First things first, you’ll need a 4K TV. 4K TVs have displays with a higher pixel density for richer colours and clearer, crisper, more detailed images. You’ll also need a 4K-ready box. 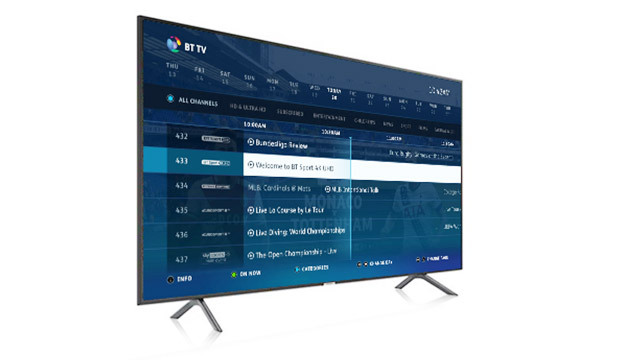 Our powerful 4K TV box comes included with the Max 4K TV package, and has 300 hours of storage space too. With our Max 4K package, there are plenty of options for 4K viewing. You’ll need a fast enough broadband connection to watch it all, so we’ll let you know what you can get at your address when you order. 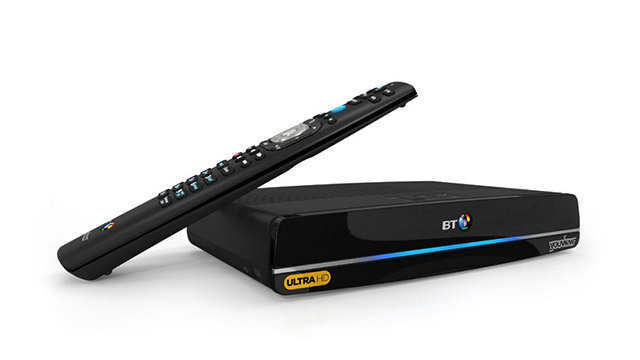 Get BT Sport in 4K and watch the UEFA Champions League, Premier League, UEFA Europa League and the Emirates FA Cup as you’ve never seen them before. And because images are delivered to the screen at 50 frames-per-second, fast moving games appear in pin sharp detail. With over 1400 hours of 4K content, there’s a wealth of shows and movies available to watch on Netflix. 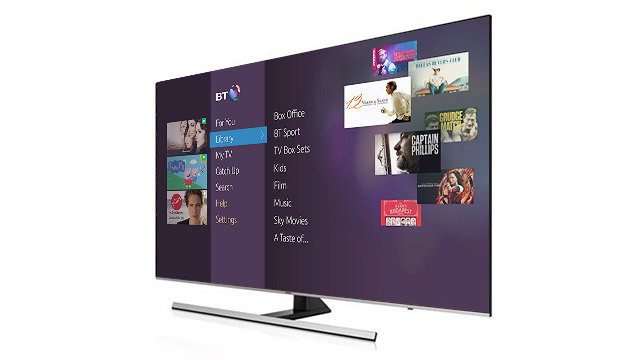 Sign up for instant access on the big screen through BT TV and choose the Premium subscription to watch in 4K. Based on the hit film by Guy Ritchie, this thrill-a-minute TV adaptation stars Rupert Grint. And you can only watch it in 4K on AMC, exclusive to BT TV. Hundreds of top titles, including Prime Originals like The Grand Tour and Tom Clancy’s Jack Ryan, at your fingertips in 4K. Just sign up to Amazon Prime and watch on your BT TV box.